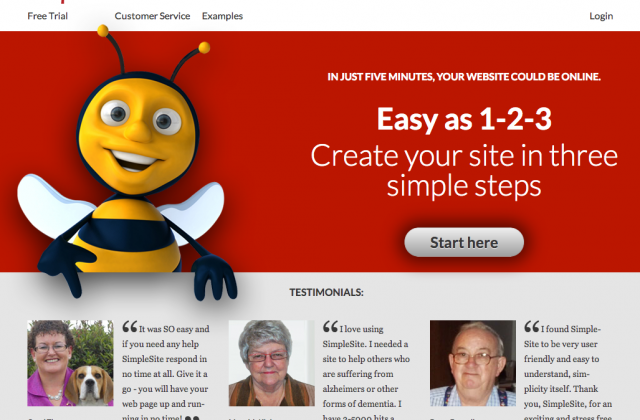 SIMPLE SITE: THE 8 BEST TIPS FOR YOUR NEW WEBSITE! SimpleSite.com was founded back in 2003 with the idea of providing the simplest and easiest to use website design and building tool on the market. Since its inception, the company has developed a truly global presence, with over 13 different languages to reach customers across the globe. The site was launched in the US in 2004. Currently, they have over 50,000 sites hosted for individuals and businesses. They even offer a free trial, money back guarantee and reasonable prices. Not only that, but their tools and features are top-notch and will help you be online in as little as five minutes! Welcome to SimpleSite. Here are some tips to make your new site ready for your first visitors. Use them all – or just a few of them. It’s quick and simple. 1: Place your image and text on the front page. You can easily edit the content on your pages. First, edit your frontpage: Insert you own photo and add a greeting to your visitors. Click "Edit" on "My front page"
Insert a photo and add text. That’s it – it’s just as easy to edit your other pages. 2: Customize your website's design. You can easily customize your website's appearance. You can choose other colors, fonts, or you can have a completely different design on your website. Click "Your Design" from "Your SiteEditor". 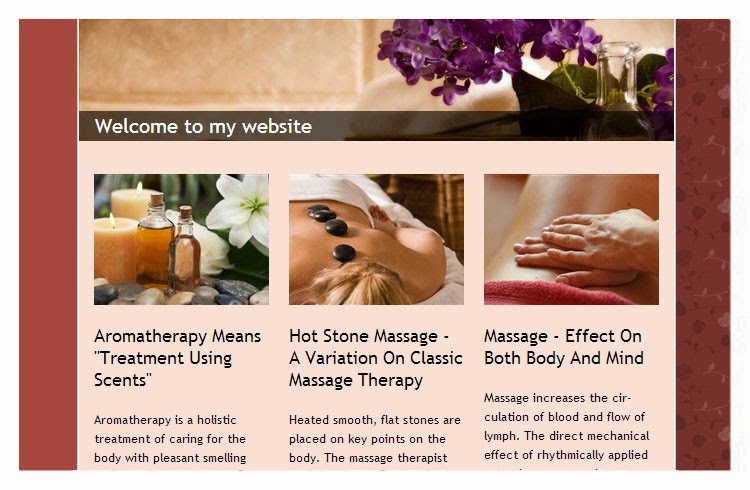 From here you can change your website's title and subtitle, change colors and change fonts. 3: Make a guestbook for visitors. Create a guestbook for your site, so visitors can write small greetings. This will add more life to your website. Click "Add a new main page at the bottom" below your pages. Write a message to encourage visitors to use the guestbook. 4: Get a blog for quick postings. A blog is perfect for short news, such as new experiences, new images or links to sites you found. There are numerous possibilities. You can update the blog easily whenever you want. Create a new blog posting. 5: Create an online photo album. Make a photo album to show off your best photos. Customize your presentation with image transitions, slideshows, music and more. Choose the template "Photo album." Upload images and name the photo album. Choose music and transitions for the slideshow. You can create more pages for many purposes, such as a contact page, road maps, price lists, animal pedigree charts and much more. There is something for everyone. Add content to your new page. 7: Get more visits to your website. Are you ready to tell everyone about your website? Send the link to people you know. Keep the email addresses you usually use. Click "Send your link" in the customer service area to the right. Write a message and enter the email addresses of your recipients. Click "OK" to send your message and website link. 8: Get your own personal domain name. With a domain name, your website has its own www address. It’s shorter, unique and it belongs to you. A domain name makes it easier to inform others about your site. A domain is easy to buy and if you order within 48 hours, you only pay $1.00. Click on the large yellow banner with the domain offer. SimpleSite handles the registration and guides you through the activation process of the domain. Web design is a huge industry today. Thanks to the Internet, the process of learning designing languages has become very easy.